Lichen Planus is a type of recurring skin rash that is triggered by the immune system. It occurs when your body starts to attack your skin or mucous membrane cells for no reason. Although uncomfortable, it’s not usually a serious condition nor is it contagious. The condition can affect anyone although it’s most likely to present itself in those who are middle aged: It’s rare in children and older adults. The condition can manifest itself on skin, genitalia, mucus lining, scalp and nails. When it affects the mucus lining it may produce symptoms on the mouth. Some symptoms include bluish white spots that may be on the inside of the cheek, on the sides of the tongue or on the gums. These may be painful and cause a burning sensation. If the skin is affected then lesions may be itchy and either single or clustered. 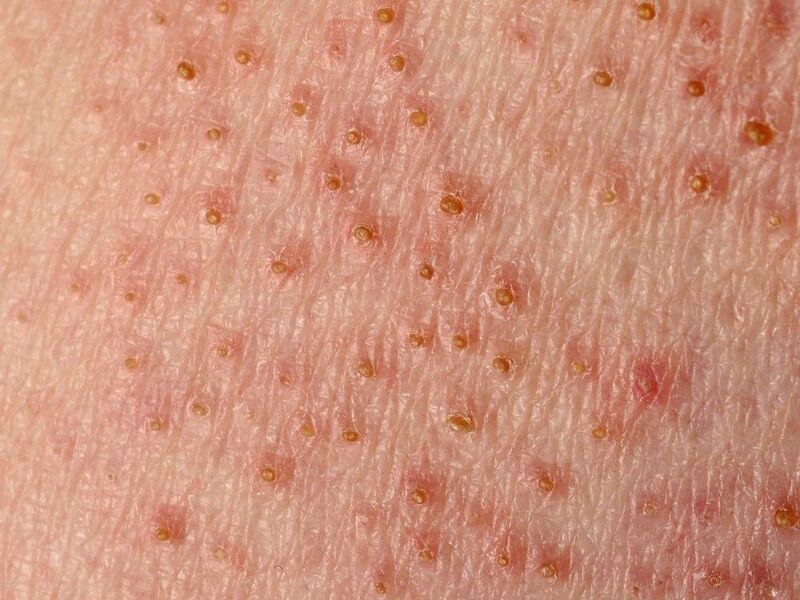 Skin will be itchy at the site of the rash and lesions may be shiny or scaly in appearance with a sharp border. According to Ayurveda, the skin has seven layers and so extends itself to the deeper levels of the body. Due to this skin conditions such as Lichen Planus have deep rooted causes. Ayurvedic treatments have to be penetrative, aiming for the purification of the body and overall regeneration. Detoxify the body is an important stage of most Ayurvedic treatments, in order to remove toxins that have accumulated in the body.After assessing the particulars of the patient’s condition the first treatment may involve prescribing Vamana (medicated vomiting) or Virechana. At this stage the Agni, or the body’s ‘inner fire’, may have been weakened by the detoxifying stage. The next step involves using light to help digest food and help the Agni to recover. In order to then pacify and soothe the symptoms gargling or washing with herbal devotion may be useful. Medicines for external application may also be used in some cases. The rejuvenation process occurs after the treatment procedures to rejuvenate and restore the body tissues. At this stage rejuvenating medicines that are specifically useful to the skin are used. These provide strong immunity power to prevent any further vitiation of the three dosha. Spices such a Turmeric, Ginger, Cumin, Tulasi, Cardamon and Curry Leaves are all effective at dealing with Lichen Planus. Heavy to digest food should be avoided as this can impair the Agni. Regular use of sweet, oily and heavy milk products should be avoided as well as consumption of fast foods, refined sugars, fermented and sour foods.